The bounty of fall is upon us and that means it’s time for easy comfort foods..like stew! With the mellow sweetness of butternut squash, the deeply complex flavor of cocoa, and the gentle smokiness of chipotle, this stew is sure to become a staple on the dinner table. This recipe easily transforms to fit a number of diet preferences including low-carb, gluten-free, paleo, vegetarian, and vegan, making it perfect for those family get-togethers where it’s hard to accommodate everyone in the room! Cook it in the slow cooker for a make-ahead option or in the pressure cooker when you only have 20 minutes until the family arrives! Best of all, the stew pairs perfectly with our 2016 Bountiful. The crisp, refreshing fruit flavors of the wine are balanced with the heat from the chipotle powder while matching with the slight sweetness of the butternut squash. Bountiful's bright acidity holds up to the stew, especially in the meatless version. For a contrasting effect, try the Red Blend with the beef version. The tannins in the Red Blend will help refresh your palette from the richness of the beef and the deep red berry flavors will pair well with the chocolate. Heat Level Note: The version of the recipe below results in a mild heat level (1/5 chilis – little to no tingle/sting of spiciness). Add fresh jalapenos, chipotle chilis, more chipotle powder, chili powder or crushed red chili flakes if you prefer a spicier dish! Layer ingredients in the pressure cooker in the following order: water, butternut squash, onion, bell peppers, and beans. In a separate bowl, mix the tomatoes, garlic, cocoa powder, cinnamon, chipotle powder, and smoked paprika powder. Pour the mixture on top of the beans in pressure cooker. For the Instant Pot, use the Manual setting on high pressure for five minutes. Be sure to move the pressure valve to “sealed.” It will take 10-15 mins for the Instant Pot to come to pressure, then the 5 min cook time will start. Once the 5 minutes are over, quick release the pressure by turning the vent to “venting” (be sure to wear oven mitts or protect your hand in some other way as the steam that is released is very hot). Once the pressure is released, open the lid and test the butternut squash for tenderness. Serve with sour cream, shredded cheddar cheese, and your favorite hot sauce or oyster crackers. Layer ingredients in the pressure cooker in the following order: water, butternut squash, onion, bell peppers, and beans. In a separate bowl, mix the tomatoes, garlic, cocoa powder, cinnamon, chipotle powder, and smoked paprika powder. Pour the mixture on top of beans in the slow cooker. Set to low and cook 4-6 hours until the butternut squash is tender. To add beef to this recipe, quickly sear 1 lb. of cubed beef stew meat in a cast iron skillet on the stovetop, then make this the first layer in the slow cooker. Cook for 4-6 hours on low. Simply omit beans and follow the rest of the recipe as noted. There is a wide range of personal preference in what is considered paleo, so alter the recipe to fit your tastes! Follow the original recipe noted, making sure that the canned ingredients are manufactured with no animal byproducts. Pair with the 2015 GIFFT Red Blend, a vegan wine! This tasty stew should satisfy vegans and non-vegans alike. Everyone can reap the benefits of kids heading back to school. Certainly if you’re a parent with young kids in grade school, you have newfound freedom to catch up on your to-do list kid free or head off to work with a clear mind while your kids head off to school. Or, you may have just sent a child off to college and you’re wondering what to do with the extra space around the house. Maybe you’re a grandparent who enjoyed spending extra time with your grandkids over the summer and now you’re looking forward to hearing about their next achievement. No matter what your age or stage in life, we’ve gathered a few tips to help you focus on you. With a bit more free time in the morning, invite a few friends over for a back-to-school brunch. Eggs Benedict is a classic and the combination of poached eggs, ham, and an English muffin with a big, bold hollandaise sauce pairs beautifully with GIFFT Chardonnay. Melon and prosciutto, veggie quiche, or smoked salmon pair well with our GIFFT Pinot Noir Rosé. Or for something simpler, set up an acai bowl bar with all the toppings – granola, shaved coconut, strawberries, blueberries, bananas, etc. Although wine may not come instantly to mind when thinking acai bowl, it’s yay for GIFFT Rosé, a wine that pairs with just about everything! Whatever you decide to serve, remember to relax and enjoy the time with friends while catching up on your summer adventures. Use your phone for more than social media. Posting pictures and seeing what your relatives are up to on Facebook is nice, but really connecting with the ones you love is so important. Let’s face it, with busy summer schedules, vacations, and just having kids about the house, it can be hard to find even a minute to pick up the phone and call a loved one or old friend. Now is the time to use your extra quiet moments during the day to catch up with those who you are missing or haven’t seen in a while. Connecting with friends and family feeds the soul. You probably took hundreds of pictures during your vacation or throughout the summer. Now is the time to do something with them. Upload your photos to your favorite photo site to have specialty prints made, or just print a few from your computer at home. With a collection of simple frames, you can create a fun family collage to fill that empty space on the wall. Yes, spring is supposed to be for cleaning, but the in-and-out of summer activities seems to bring in dust, dirt or sand. The remnants of back-to-school shopping and organization are also probably piled up in different parts of the house. Take this time to thoroughly clean those areas that have lacked some cleaning love, like the baseboards, kitchen cabinets, or the kids’ rooms. Focus on one small area each day and in just a couple of weeks, you will have your house reorganized and clutter free. Take care of you, part I. Parents are great about taking care of their children – scheduling doctors’ appointments, dentist appointments, and whatever-else-they-need appointments – but what about your own health needs? Take the time to evaluate the appointments that you’ve put on hold and make them today. General check-up, teeth cleaning, dermatologist skin check, mammogram, colonoscopy….yeah, we know they’re not fun. But your health is important not only to you but your family and peace of mind feels great. Get out your calendar and take care of yourself by being your own health advocate. Take care of you, part II. There are countless hours in your life that you have spent taking care of others. Take some time to take care of yourself. Enjoy a long walk, get engrossed in a good book, or schedule a rejuvenating appointment for a pedicure, facial or massage. It's amazing how a refresh of your mind, body and spirit can restore your energy and open your heart to new ways of giving and sharing the true joys of life with others. Labor Day is dedicated to the achievements of the American worker and honoring the strength, prosperity and well-being of our country. It’s also time to enjoy a well-deserved day off and celebrate with a BBQ or enjoy the outdoors with family and friends. Here are a few ways that you can enjoy GIFFT wines while you wrap up summer and move easily into fall. It’s Monday and there’s no school, no work, nothing you need to do but take advantage of the opportunity of an extra day off to relax with family and friends. Plan a BBQ in your backyard and celebrate the last long days of summer with a lovely bottle of chilled white wine. 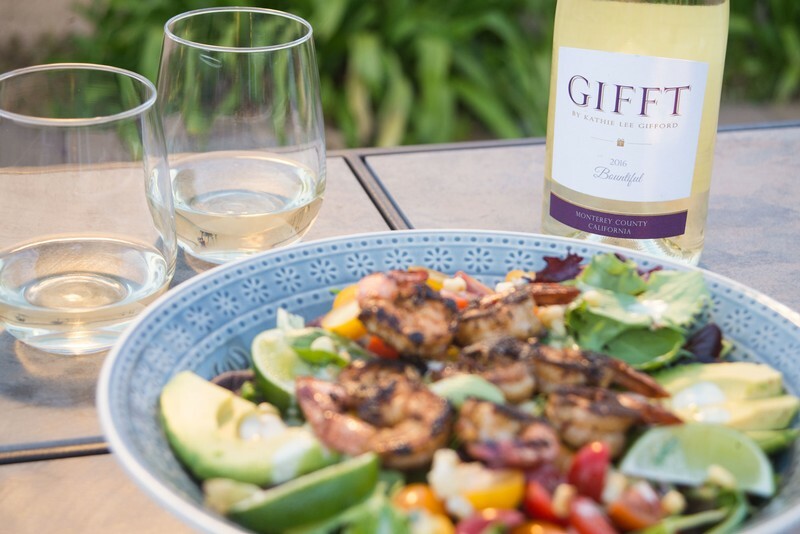 Keep it simple by grilling up some shrimp skewers that pair well with our GIFFT Chardonnay. 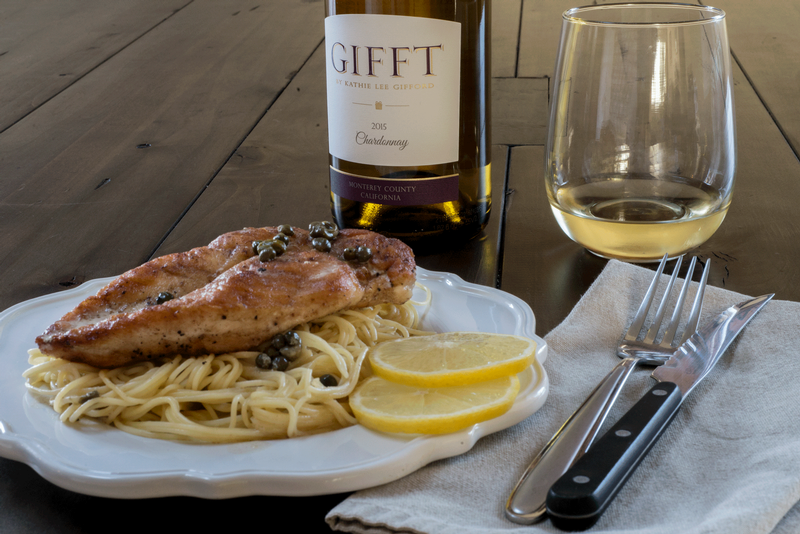 Herb-marinated chicken with grilled asparagus is another easy combination that tastes great with GIFFT Pinot Grigio. What food makes the perfect picnic? Fried chicken, of course! When you’re loading up your basket, start with some cured meats, soft cheeses and crusty bread, then add a tangy potato salad for a side. With a beautiful blanket, some easy-to-carry, on-the-go stemless glasses and a bottle of GIFFT Red Blend, you are all set. Just choose your favorite picnic spot and treat friends and family to great food, great wine, and most importantly, great company. Remember, it’s not about creating the picture-perfect picnic – it’s about enjoying the moment with family, friendship, laughter and love. Look at your Local Events Calendar. If you do an online search or look in the local newspaper for Labor Day events in your area, you are bound to find a bevy of activities. From sand sculpting challenges to concerts in the park, many towns and cities provide events that are free and open to the public. Put aside the To Do list for a day and pick something that’s right up your alley or outside of your norm. The important thing is that you make time to enjoy the company of family and friends while doing something fun. You deserve it! Fire up the grill, slice those fresh summer vegetables and pour yourself a chilled glass of white wine—it’s summertime! 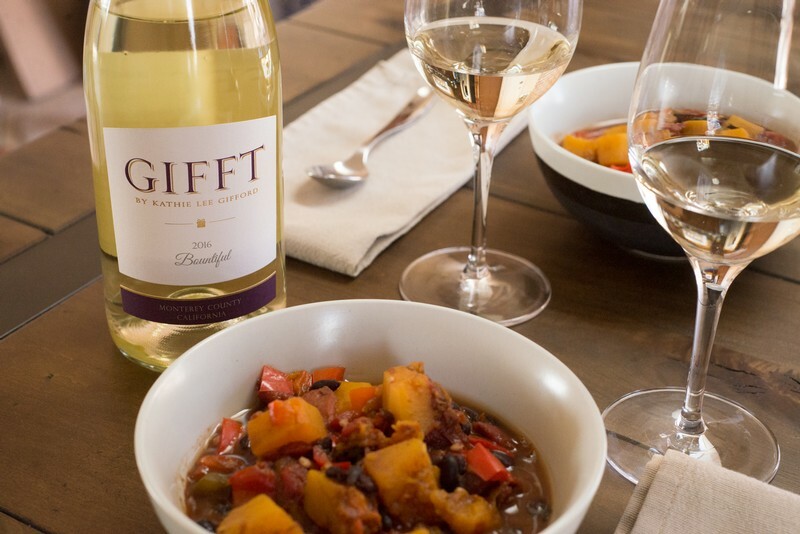 GIFFT Bountiful is a sweet white blend with bright fruit flavors and a tropical finish. 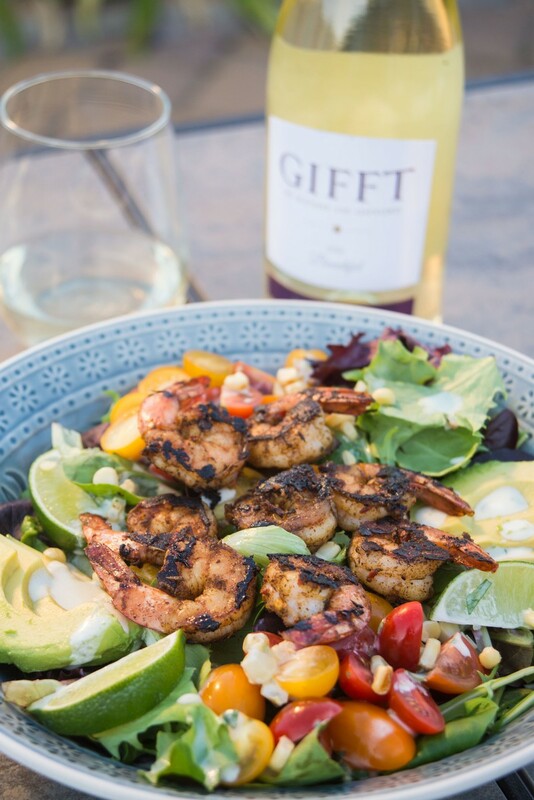 Very light and refreshing, Bountiful pairs perfectly with this Blackened Shrimp Salad with Cilantro-Lime Dressing to serve while entertaining family or friends on the deck or patio! Place shrimp in a large bowl and drizzle with olive oil. Sprinkle the blackening seasoning over the shrimp and toss gently to coat each shrimp. Grill shrimp outside on a charcoal or gas grill, or inside using a grill pan. Grill shrimp on each side 2-3 minutes, or until the shrimp is opaque. To assemble the salads, split the spring mix, as well as the grilled corn, heirloom cherry tomatoes, and avocado between two bowls. Top each salad with a serving of the blackened shrimp, and drizzle the cilantro-lime dressing over top to taste. You may garnish the salad with a few lime wedges if desired. You may use a food processor to pulse and combine your dressing, or whisk the dressing ingredients together in a small bowl. Coming Soon: 2016 Bountiful White Blend! "We’re so blessed that the enthusiasm for GIFFT is growing and our wines are now being sold to fans in nearly every state. 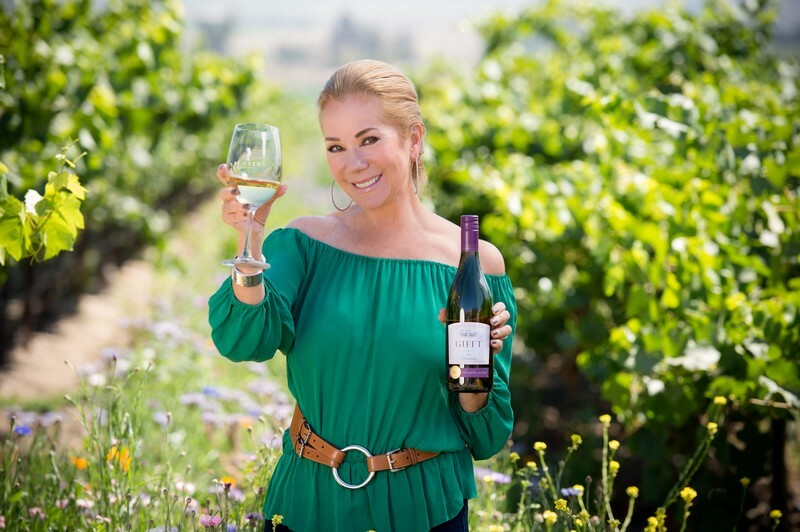 Some of you have asked, “Do you have a blend with a bit more fruit and sweetness?” My friends at Scheid Family Wines embraced your requests and were happy to share the bounty of their vineyards. The result is simply delicious. The name Bountiful was inspired by the gratitude I feel for all of life’s blessings. The wine is a harmonious blend made in a refreshingly sweet style for year-round enjoyment. It is a perfect pairing with salads, soft cheeses, fried chicken, Thai cuisine, backyard BBQ … and all on its own sitting on your front porch!" Our 2016 vintage is a beautiful blend of seven varieties featuring aromas of tropical fruit and citrus, and flavors of ripe stone fruit and pear. 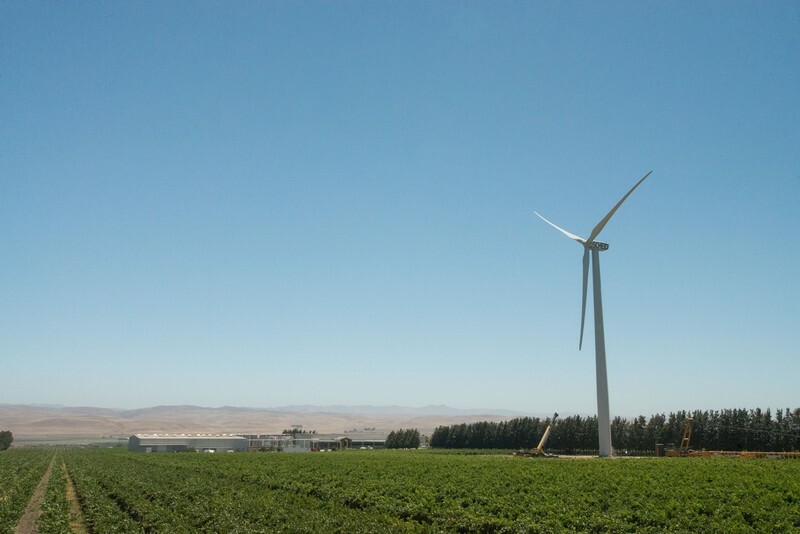 It is soft and well-balanced with bright fruit flavors and a lingering tropical finish. Light and refreshing, it can be enjoyed anytime, anywhere. In a small bowl, whisk together the rosé, shallots, vinegar, and pepper. Serve alongside the oysters on a bed of shaved ice. Enjoy immediately. 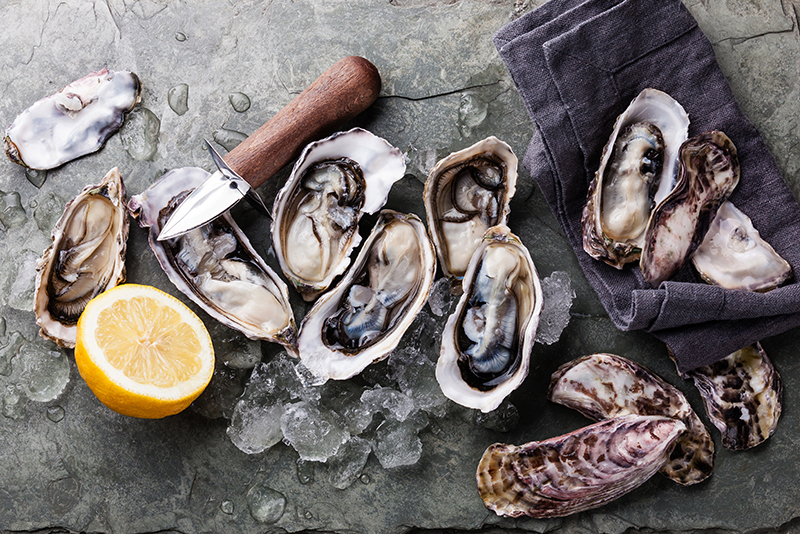 Did you know that oysters are one of the most sustainable seafood options out there? Just one more reason to enjoy them more often! For more sustainable seafood options, check out the Monterey Bay Aquarium's Seafood Watch app here: http://www.seafoodwatch.org/. When you place an order for shipment to Alabama, a GIFFT Wines representative will reach out to you and walk you through the process. Simply choose the ABC Liquor Store closest to you, and we’ll do the rest! If you have any other questions about shipping wine to Alabama, please reach out to us at contact@gifftwines.com or call toll free at 1-888-772-4343.